2,734-acre park with 1,085-acre lake. 86 family campsites and 16 wooded sites. 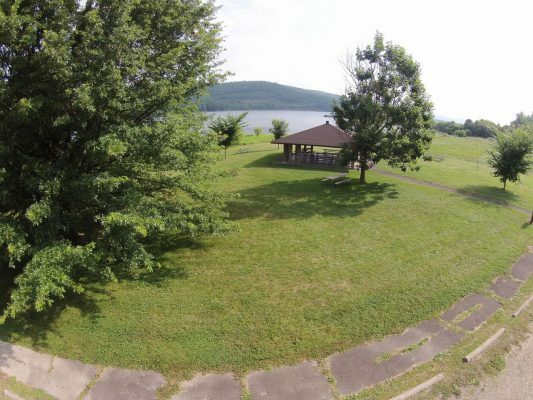 Federally owned recreational lake with camping, fishing, boating, hiking, swimming, picnicking, and hunting. The campground has a swimming beach, playgrounds, a modern bathhouse, a camp store, a boat launch and mooring facilities. There are no boat size or horsepower limits on the lake, but some areas are zoned as Slow-No Wake. Other features include a swimming beach, playground, boat launches and picnic facilities including grills and picnic shelters.